Click on any image to view the slideshow of the Emerald Suite. The Emerald Suite is rich in colors of emerald, purple and gold. 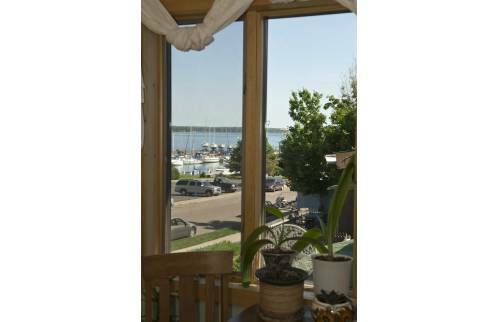 A gorgeous view of the Lake is the first thing one can see when one enters the Suite and every morning when waking. A recently installed fireplace enhances the ambiance of the Suite. 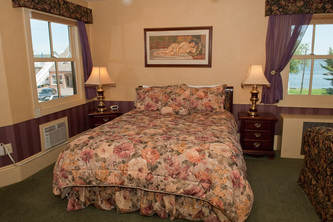 The Suite holds a queen bed and in room beverage options. 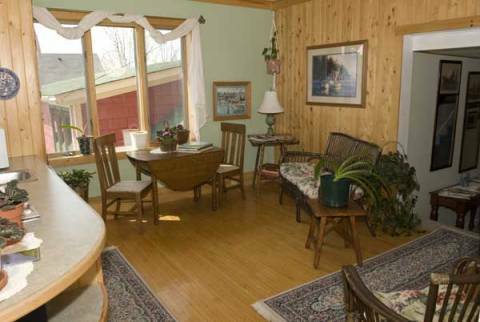 This Suite is very popular with honeymoon and anniversary couples who desire the comfort, and lake view the Emerald offers. 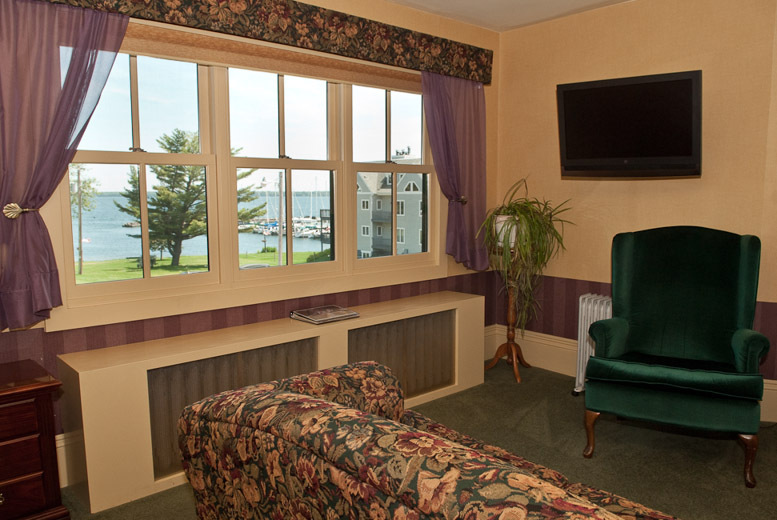 A sitting room with a great view of the Lake and comfortably appointed is adjacent to the Emerald Suite. The area has a refrigerator, microwave, and toaster. Silverware, paper and plastic products are available for guest use. At the back of the second floor is the sun room. There is an exit to the gardens from this sitting room. The afternoon sun is great in this room for reading and relaxing. A trunk of board games are available for family fun. May 15th- October 31st - $169--$209 per night double occupancy. 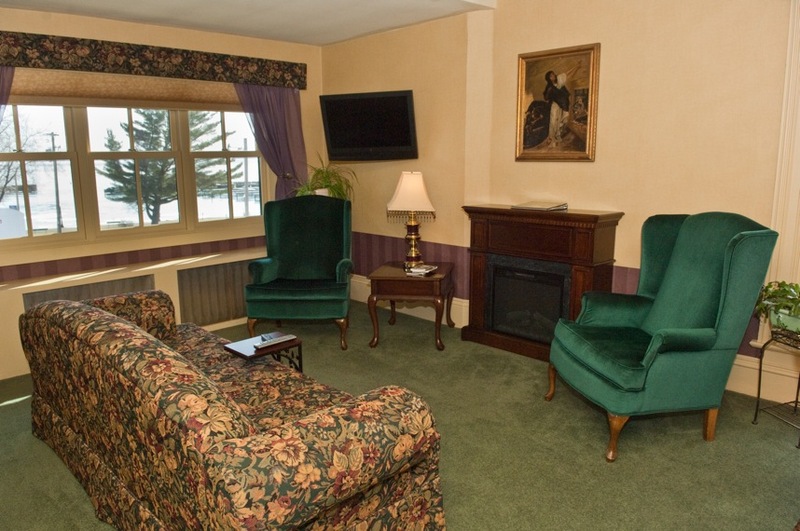 November 1st- May 15th - $99--$149 per night double occupancy.